On July 6, an unmanned 72-wagon train containing 7.2 million liters of crude oil extracted by fracking from the Bakken shale oil patch in North Dakota and operated by the Chicago-based Montreal Maine & Atlantic Railway Company derailed, exploded and spilled 5.56 million liters of its murderous content in Lac-Mégantic, Quebec, Canada, killing 47 people (aged between four to 93), incinerating the small downtown, and scorching the existence of local residents. People in the Eastern Townships in Quebec had long co-existed with the railroad but not without noticing, since 2009, the dramatic increase of tank cars carrying Alberta bitumen or Dakota’s shale oil to Irving Oil’s refinery in St John, New Brunswick. Overnight, Lac-Mégantic became tragically linked to the North American oil production boom and victim of decades of governmental deregulation regarding railway transport benefiting corporate interests to the detriment of public safety. Lac-Mégantic is a violent rupture but only one of many examples of neoliberal capitalism feeding on disasters. A disaster that tears the mask off how everyday life, politics, and the environment are being infused with heightened toxic precarity. Extractive capital stoked by economic crisis is searing new maps of deadly dispossession into natural, social, regulatory, and civic landscapes. How many oil spills by rail or pipelines have impacted local – and often indigenous – communities with similar threat for human and environmental health and leaving them with an incommensurable cleaning up task (and tab) while the oil industry (companies, transporters, and refineries) received billions of dollars every year? The profound injustice not only resides in this disproportionate relation and in the complicity between corporate negligence and regulatory failure. Governments have become so ingrained in free market strategies that transparency and accountability are no longer possible and thus responsibility escapes. Despite the amazing stories of solidarity and unprecedented generosity, and remarkable sangfroid and compassion during the emergency phase, the local government of Lac-Mégantic—confronted with an extraordinary situation and pressured by a logic of emergency—seems to use the population’s shock to achieve their reconstruction plan without substantive public participation. Numerous questions lingered in the air as heavy machinery moves contaminated soil. 1. 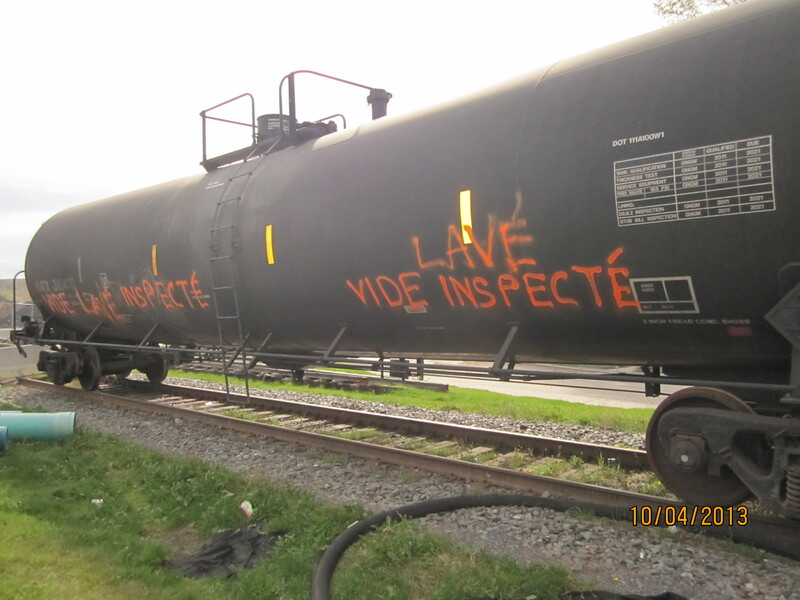 Why was an unlocked train hauling 72 wagons loaded with crude oil left running unattended on the main rail in Nantes? 2. Why did the train start moving, crossing Route 161 twice between Nantes and Lac-Mégantic without notice, and 15 minutes later, at a speed of 101 km/hour, derail, spill, and explode, flooding downtown Lac-Mégantic with crude oil and fire? 3. Why was this particular crude oil so flammable, burning for three full days and exploding into gigantic fireballs? Why did so many of the non-pressure tank cars (Class 1111) blow wide-open? How did the mislabeling of the crude oil as less dangerous and flammable occur between extraction and loading? 4. Why were some residents allowed to return to their homes when the exact content of the crude oil is still unknown—which means their safety, too, is unknown? How has ‘safe’ been defined and redefined since July 6? 5. Why did it take the Canadian Federal Harper Government 17 days to announce its $60 million aid plan when the Quebec Provincial Marois Government did so after three days? Despite many gestures and promises, where has the federal government been anyway? 6. While downtown Lac-Mégantic was turned into a sudden crime scene, controlled by the Sureté du Québec, where (or who) were the criminals? Where were the respondents of the class action launched in Quebec Superior Court? Where were Rail World Inc, Rail World Holdings, Montreal Maine & Atlantic Railway Ltd, Earlston Associates, Pea Vine Corporation, Montreal, Maine & Atlantic Corporation, Montreal, Maine & Atlantic Canada Company, Edward Burkhardt, Robert Grindrod, Gainor Ryan, Donald Gardner Jr., Joe McGonigle, Cathy Aldana, Thomas Harding, Irving Oil Limited, Irving Oil Operations General Partner Limited, Irving Oil Operations Limited, World Fuel Services Corporation, World Fuel Services Inc, World Fuel Services Canada Inc, Dakota Plains Holdings Inc, Western Petroleum Company, Union Tank Car Company, Trinity Industries, Trinity Rail Group, General Electric Railcar Services Corporation, Canadian Pacific Railway Company, XL Insurance Company Limited, and XL Group PLC? 7. How could the Montreal Maine & Atlantic Railway Company get away with this massive ‘hit and run’ and with ignoring the legal notices of the City of Lac-Mégantic and Government of Quebec’s order to pay for cleaning up the crude oil that spilled into the town and surrounding lakes and rivers? 8. In the age of continental integration and cross-border harmonization and information sharing, was Transport Canada made aware of the safety inquiries in the Bakken, conducted by U.S. Department of Transportation three months before the Lac-Mégantic derailment/explosion/spill disaster? 9. Why were the higher safety recommendations regarding DOT-111 tank cars proposed by the US National Transportation Safety Board in 2009 and again in 2011 never addressed? Why is only 25 percent of the DOT-111/CTC-111A fleet carrying crude oil up to such safety standards? 10. Why did Transport Canada not take responsibility for, and oversee, safety rules for rail companies? Why did Transport Canada constantly ignore safety recommendations from the Transportation Safety Board and the Environmental Commissioner in the Auditor-General’s office? Why did it grant Montreal, Maine and Atlantic Company the exemption to operate with only one-person crew in Canada – especially given the disturbing safety record of the company? 11. How are the public and $10 million aid monies spent? Where does the money go? 12. Why did Pomerleau, the company hired by the Government of Quebec and the City of Lac-Mégantic to coordinate the cleaning up immediately (after Montreal Maine & Atlantic Railway filed for bankruptcy), keep contracting soil characterization studies from Golder Associates, a firm (with clients in the oil, gas, and mining industries) initially hired by the Montreal Maine & Atlantic Railway Company on July 10? 13. What is the decontamination strategy? Why is contaminated soil currently being moved to a nearby industrial park? Why are the conditions of these contaminated piles not explained to the public? How long will the cleaning last? 14. How long will it take before full soil and water decontamination occurs? What will be the longer-term effects of this oil disaster on the health of local populations and ecosystems? 15. Why was STOP (Society To Overcome Pollution/Société pour vaincre la pollution), who in collaboration with Greenpeace released a preliminary report on August 12 revealing extremely high concentration of carcinogens in surface water, recently asked to leave the containment zone when sampling Mégantic lake and La Chaudière river? And why was STOP followed by a security company when collecting samples a couple of kilometers away from that zone? 16. Why is City Hall, the only operational building in the containment zone, not accessible to residents? Why is the population constantly told that ‘everything is under control’ when they are coping with the worst land oil spill in the history of North America? 18. Why was the ‘emergency’ bill presented predominantly to the local public as a request to postpone the municipal election and not as the unconditional pre-approval of the reconstruction plan, where the City now holds the right to build, to demolish, to expropriate, to act as ‘deemed appropriate’ – without public input – in the name of emergency? 19. Where can people find answers to their questions? Why is a culture of secrecy replacing a culture of daily reports? Why are some people told not to talk? What happens to people who ask ‘too many questions’ on the site? 20. Why did commercial real estate prices allegedly increase overnight on July 6? Why was the cost of moving businesses not reimbursed to some whose buildings did not burn down but still required evacuation? How are small businesses supposed to afford the new commercial condos currently under construction? 21. Why are residents and business owners who lost everything overnight asked to provide documentation for their burned properties by insurance companies? How many buildings, spared by fire but condemned by contamination (even though leases and mortgages are still applicable but can be postponed) actually had contamination coverage? 22. Why is building a 12km railroad around Lac-Mégantic’s downtown (at an estimated cost of $13 million) in order to re-establish rail services to local industries considered too costly? 23. Who will pay for the estimated clean up cost of $700 million – certainly not the Montreal Maine & Atlantic Railroad Company who was insured for only $25 million? 24. Who pays for years of governmental deregulation, Harper’s uncompromising support for the oil industry, corporate negligence and disregard for nothing but greater profits? 25. How long will it take for Lac-Mégantic to recover and to be forgotten? How many events like Lac-Mégantic does it take for governmental regulation to shift the focus of protection from corporations to the public? My thanks to Anna Zalik, Punam Khosla and André Blais for their comments. Inspired by Mike Davis and Anthony Fontenot’s ‘25 questions about the murder of New Orleans’, TomDispatch.com 27 September 2005, http://www.tomdispatch.com/post/24875/ (last accessed 15 November 2013). See Dayna Nadine Scott’s ‘Lac-Mégantic disaster shows Canada needs a national oil-transport plan’, The Globe and Mail, 10 July 2013, http://www.theglobeandmail.com/globe-debate/lac-megantic-disaster-shows-canada-needs-a-national-oil-transport-plan/article13107857/ (last accessed 15 November 2013) and Mark Winfield’s ‘The incubation of the Lac-Mégantic disaster’, Ottawa Citizen, 25 July 2013, http://www2.canada.com/ottawacitizen/news/archives/story.html?id=d088026c-89c1-48d7-a96d-557c4219f916 (last accessed 15 November 2013). From the recent Deepwater Horizon blowout in the Gulf of Mexico in 2010 to the ongoing Tar Sands tailing ponds contamination in Northern Alberta, or from the Exxon Valdez spill (1984) in Alaska to the Ocean Ranger sinking (1982) in Nova Scotia, rig explosions, tanker and train explosions, ruptured pipelines, trailing and fracking leaks are tragic occurrences of neoliberal disaster making. See Kimia Ghomeshi and Anna Zalik’s ‘Corporate privacy and environmental review at Export Development Canada’, AntipodeFoundation.org, 23 October 2013, https://antipodefoundation.org/2013/10/23/corporate-privacy-and-environmental-review-at-export-development-canada/ (last accessed 15 November 2013). Transportation Safety Board of Canada, ‘TSB calls on Canadian and U.S. regulators to ensure properties of dangerous goods are accurately determined and documented for safe transportation’, 11 September 2013, http://www.tsb.gc.ca/eng/medias-media/communiques/rail/2013/r13d0054-20130911.asp (last accessed 15 November 2013). Class Action, Gagné and Ouellet vs. Rail World Inc et al. (Second Amended Motion for Authorization.) Province of Quebec, District of Saint-François, No 450-06-000001-135. The oil companies Marathon Oil Corporation and Slawson Exploration Company, allegedly responsible for the mislabeling of the crude oil, were recently added to the class action. See Radio-Canada, ‘Recours collectif à Lac-Mégantic: deux autres pétrolières montrées du doigt’, Radio-Canada.ca, 7 November 2013, http://www.radio-canada.ca/regions/estrie/2013/11/07/001-lacmegantic-poursuite-usa.shtml (last accessed 15 November 2013). Grant Robertson, ‘U.S. officials were probing safety of Bakken oil months before Lac-Mégantic’, The Globe and Mail, 29 August 2013, http://www.theglobeandmail.com/report-on-business/industry-news/energy-and-resources/us-officials-were-probing-safety-of-bakken-oil-route-months-before-lac-megantic/article14032762/ (last accessed 15 November 2013). Bruce Campbell, ‘The Lac-Mégantic disaster: Where does the buck stop?’, Canadian Centre for Policy Alternatives, 22 October 2013, http://www.policyalternatives.ca/publications/reports/lac-m%C3%A9gantic-disaster (last accessed 15 November 2013). Quoted in Sue Montgomery, ‘Plan to rebuild Lac-Mégantic’s downtown sows anger, resentment’, The Gazette, 5 October 2013, http://www.montrealgazette.com/Plan+rebuild+M%C3%A9gantic+downtown+sows+anger+resentment/8999379/story.html (last accessed 15 November 2013). Articles 14 and 15 of Bill 57 enable the Ville de Lac-Mégantic to build any building in the special planning zone or to demolish any building in the containment zone (with a ten day notice to the owner). 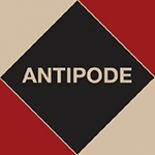 This entry was posted on 3 December 2013 by Antipode Editorial Office in Interventions and tagged deregulation, disaster, emergency, environmental justice, fracking, Lac-Mégantic, neoliberalism, oil, oil industry, oil spills, regulation, resource extraction, shale oil, Société pour vaincre la pollution, Society To Overcome Pollution.